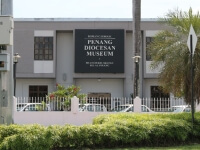 Welcome to the most comprehensive listing of Malaysian Museums available on the web. There are lots of Malaysian museums and I have visited more than 130 of them over the years. 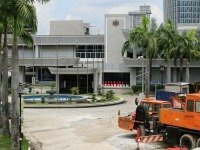 Around 21 museums are managed by the Federal Government's Department of Museums Malaysia and these tend to be the more impressive ones but there are also some excellent museums run by local governments and private bodies. The quality and size of local museums vary considerably. Many are free admission and most of those that do have an entrance fee only charge a nominal amount. 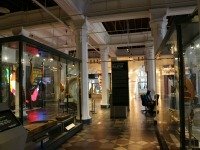 Here is a directory of the Malaysian museums I have visited so far. More will be added in due course. 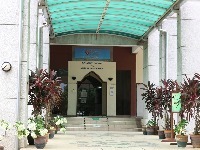 Click on the Malaysian Museum's name or image for further details. The National Museum is one the top museums in Malaysia and provides a good overview of the nation's rich historical and cultural heritage. 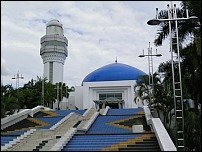 Kuala Lumpur's National Planetarium is a collection of so-so exhibits but its excellent dome theatre is well worth the visit. Read the full review here. 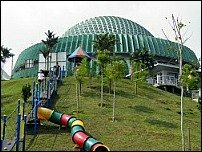 Kuala Lumpur's science museum (or National Science Centre) is not an outstanding attraction but is still worth visiting, especially with children. 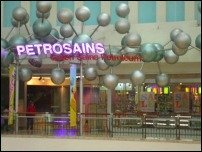 Petrosains, The Discovery Centre is a great museum in the heart of Kuala Lumpur where kids and adults can experience the worlds of science and petroleum. 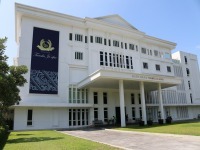 The National Textile Museum showcases the origins, development and techniques of local textiles and the role they play in the rich and diverse heritage of Malaysia. 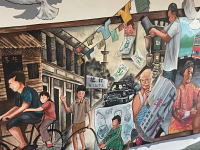 National Visual Arts Gallery showcases local and foreign contemporary art works and photography. 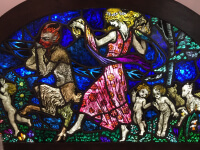 Temporary exhibitions are frequently refreshed. The Tun Abdul Razak Memorial is an interesting museum dedicated to the life and times of Tun Abdul Razak, the second Prime Minister of Malaysia. The Islamic Arts Museum is one of the best Malaysian museums with over 7000 top quality artefacts from all over the Islamic world. A must-see! 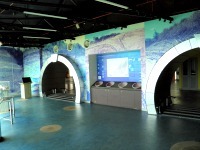 Tour the Royal Selangor Visitor Centre to see how pewter is made. Even try it yourself in their School of Hard Knocks before shopping for exquisite pewterware. 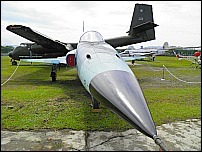 The Royal Malaysian Air Force Museum is a fun place to visit where kids can play in aircraft cockpits while adults learn the history and operations of the RMAF. 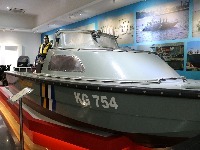 The Royal Malaysian Police Museum contains a fascinating collection of artefacts and exhibits detailing the role and history of the RMP from its inception up to the present day. The Telekom Museum is more interesting than it sounds and it is located in a beautiful old building. Find out what to expect when you visit. 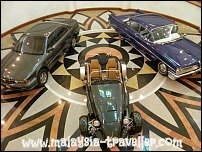 Bank Negara Museum and Art Gallery is spacious and modern and well worth a visit. Read here for my review with photos, opening hours and location details. At the Maybank Numismatic Museum you really can see money growing on trees. Find out more here. 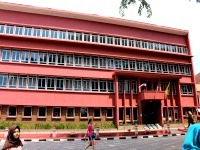 At KL's Biomedical Museum you can see grotesque preserved human embryos, snakes in jars and exhibits on diseases. Fascinating material but outdated presentation. This is a great place to obtain some tourist information on KL, join free heritage walking tours and shop for quality souvenirs. 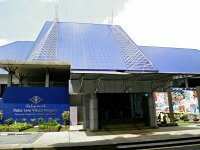 Galeria Sri Perdana is an interesting museum giving an insight to the day to day life of Tun Dr. Mahathir Mohamad and his family during his tenure as the fourth Prime Minister of Malaysia. 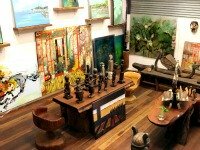 If you are into tribal arts from Borneo, this gallery and museum is a must-visit. 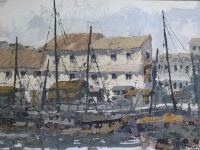 In addition to the permanent exhibition they have many tasteful artworks which can be purchased. 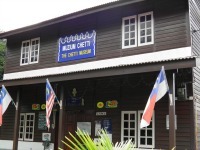 Any visitor to the Kuala Lumpur Craft Complex should not miss the Craft Museum. It will give you a greater appreciation of the products on sale in the retail galleries outside. 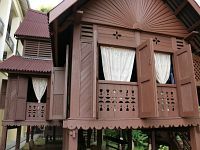 Not actually one of the Malaysian Museums but here visitors to KL have a chance to go inside an award winning restoration of a traditional Malay wooden house. 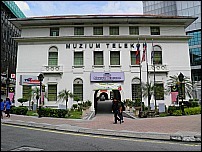 Music Museum Kuala Lumpur is a pleasant place to learn about traditional musical instruments in Malaysia and more. See details, location and opening hours here. 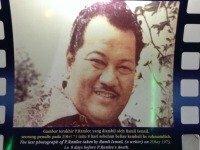 P Ramlee Memorial is a museum in KL commemorating the life and times of Malaysia’s most famous singer, actor and film director. Read details here. This museum has the convenience of being in the same compound as the National Museum and the Orang Asli Craft Museum so visitors can experience three for the price of one. 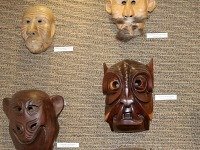 Orang Asli Craft Museum is a small but interesting museum in Kuala Lumpur with some excellent carvings and masks. 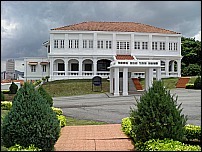 The Tun Hussein Onn Memorial is a museum commemorating the life and achievements of the late Tun Hussein Onn who served as the third Prime Minister of Malaysia from 1976 to 1981. Currently closed for rebuilding work. 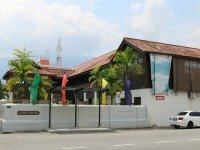 Fans of cartoons will love Malaysia Cartoon and Comic House where original comic book art is displayed and your guide might be one of the artists. 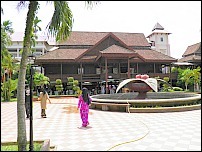 MATRADE Trade Museum showcases the early development of trade in south east Asia and the trading activities of modern Malaysia. Read details here. 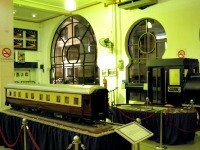 This small museum of Malaysian railway memorabilia is located in the concourse area of Kuala Lumpur's historic old railway station. Last time I visited the museum was closed, whether permanently or for renovation was not clear. Jade Museum Kuala Lumpur is more shop than museum but it does have some exquisite jade pieces on display and plenty of jade jewellery and ornaments for sale. 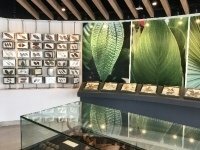 There’s not a lot to see at the Herbarium Gallery, just a modest collection of dried leaves and information graphics. 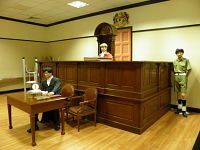 At Justice Museum Putrajaya you can learn how Malaysia’s legal system developed, view a mock up of a court room, see wigs, costumes and much more. 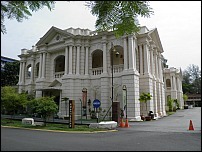 The Natural History Museum (also known as Museum of Nature) is a small museum in Putrajaya containing an exhibition of stuffed endangered Malaysian mammals and exotic insects. 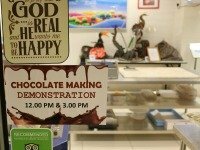 This is a great place to take the children and any chocolate lovers in the family. You are sure to find out facts you never knew about chocolate. 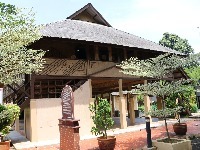 Muzium Warisan Melayu is an interesting museum of Malay heritage showcasing traditional architecture, manuscripts, textiles, kris and jewellery. Worth visiting. 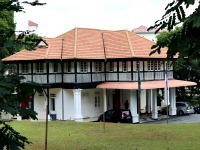 The Petaling Jaya Museum provides background on the origins of PJ, the different communities who live there, and the rubber and tin industries. High 5 Bread Town is a bread museum in Shah Alam and an enjoyable place for kids to learn about the history of bread and how it is made. 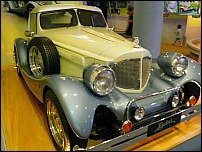 If you go to Sepang International Circuit you should visit this museum displaying a number of vintage cars and some Malaysian manufactured brands including the retro-styled Bufori. 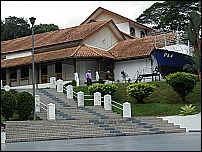 There are a number of royal museums in Malaysia but I think Sultan Abdul Aziz Royal Gallery in Klang is the best one. It's also free. See review, location map & details here. 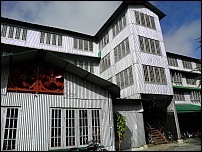 This interesting heritage building used to be the Tin Museum but it closed many years ago and remains vacant. 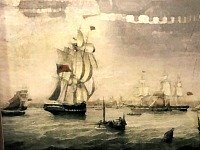 You can find out more about its history, together with location map and details here. 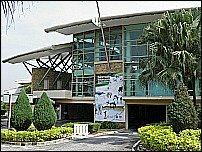 Sultan Alam Shah Museum is one of the better Malaysian museums in Shah Alam, Selangor covering history, geography, culture and natural history. See review here. 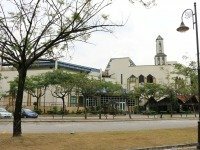 Selangor Islamic Arts Garden Complex contains exhibitions on Islamic calligraphy, architecture and the journey of the Prophet Muhammad. 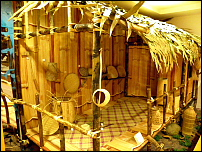 This museum showcases the culture of the Bugis people who migrated from Sulawesi and their contribution to Malaysian history. 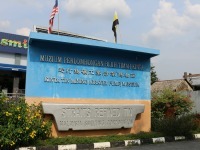 In the former pineapple growing region of Johor, this museum explains the role of pineapple cultivation in Malaysia's economy and the many uses of the pineapple plant. 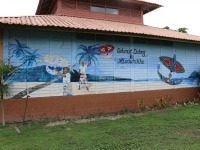 At Tanjung Balau Fishermen Museum you can learn about the lives of traditional fishermen in this part of Johor. There is a nice beach here too. 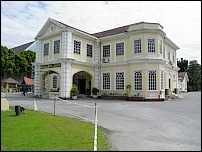 Perak Museum is the oldest in Malaysia and is housed in a fine heritage building. Read full details, ticket price, opening hours and location here. Part museum, part antique shop and part junk yard. 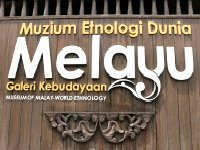 I would definitely recommend visiting this museum if you are at all interested in Malaysian heritage. 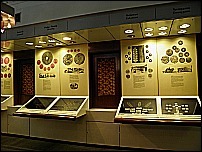 First Galleria is a professionally presented history museum showcasing Taiping’s many firsts in five impressive permanent galleries. Update - This museum has since closed down. Shame! 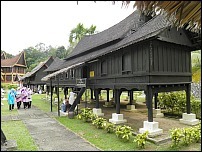 Gopeng Heritage House and the nearby Gopeng Museum are interesting places to visit while in Gopeng. Review and details here. 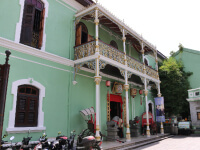 Han Chin Pet Soo, which translates as Han Chin Villa, is Ipoh’s latest attraction, a fascinating museum-style exhibition in the beautifully restored Hakka Miners’ Club building. I have tried to visit this place twice but it was closed both times although it was supposed to be open. I'll have to write my review another day. 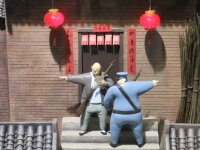 In the meantime, if you like miniatures see my video of a great museum in Taipei. 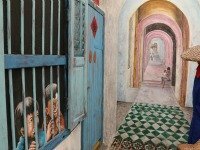 Wisma Chye Hin describes itself as Ipoh’s Largest Indoor Mural Arts Experience and is also home to the Concubine Lane Museum. Kinta Tin Mining Museum is an interesting museum in Kampar, Perak for those interested in the history of tin mining in Malaysia. Read details here. 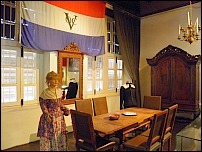 This museum, in a colonial-era mansion, houses a modest collection of items of general interest. 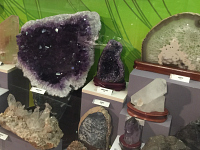 Geology Museum Ipoh is one of Malaysia’s better museums with interesting displays providing in-depth information on various aspects of geology. 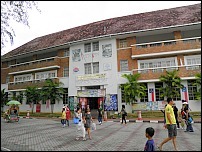 At UPSI National Education Museum in Tanjung Malim you can learn about the history of Malaysia’s education system and admire the heritage buildings of this university campus. 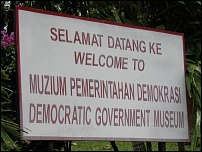 This small museum concentrates on the history of the Beruas district, archaeological discoveries in the area and its physical geographical and geological features. 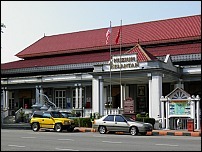 The museum has a modest collection of old artefacts, photos, ceramics and a display of Negeri Sembilan postage stamps. 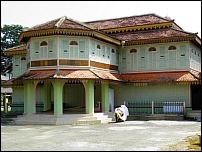 In the grounds outside are two fine Minangkabau traditional wooden houses. 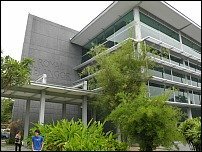 This is a brand new royal museum situated in Seremban’s scenic Lake Gardens. 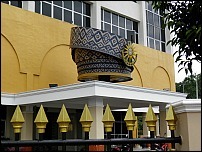 The Galeri contains exhibits relating to Tuanku Ja’afar’s 42 year reign as Sultan of Negeri Sembilan. 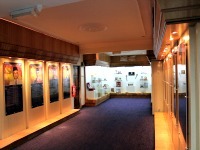 This museum of royal regalia contains displays of costumes, weapons, furniture and other paraphernalia. It is housed in a beautiful old wooden palace. 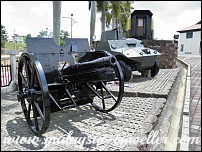 Port Dickson Army Museum is one of Malaysia's best museums and among the top attractions in Negeri Sembilan. 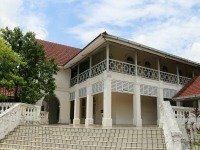 At Lukut you can wander among the hilltop remains of a 19th century fort before visiting the neighbouring Lukut Museum which contains a Lukut Historical Gallery and other interesting artefacts. 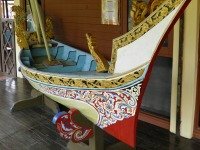 This quaint town is home to the Muzium Adat which contains an interesting selection of exhibits relating to Malaysian customs, rituals and traditions. 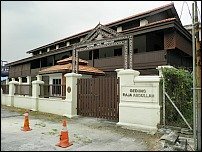 This museum is dedicated to the life of the learned Malay writer, Zainal Abidin bin Ahmad, better known by the abbreviation Za’aba. 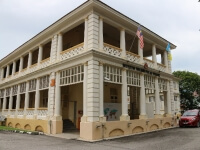 This crafts complex is housed in a stately building, built in 1912, which was once the home of the British Resident to Negeri Sembilan. 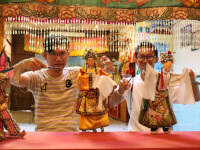 It has been well preserved and converted into a showcase of Malaysian handicrafts. 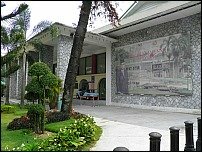 Galeria Perdana is an attractive museum in Langkawi displaying gifts and mementos received by former Prime Minister Tun Dr Mahathir Mohamad. 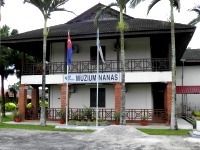 Muzium Wau Kelantan is a small kite museum showcasing the various types of beautiful kites found in Malaysia. Worth a visit if you are in the area. 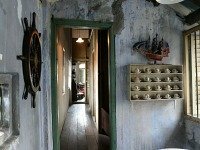 This former royal palace feels more like a home than a museum and you can get the feel for how life must have been for the previous royal residents. 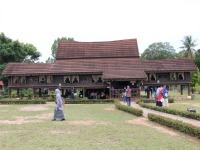 Constructed in traditional Kelantan Malay style, it was opened in 1991 to spur the local handicraft industry. 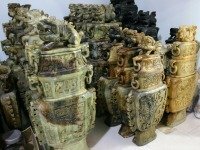 Here you can buy wooden, basket, batik, ceramic and silver souvenirs and handicrafts. 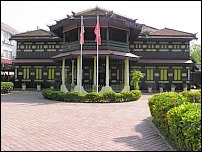 Kelantan Islamic Museum (also known as Syura Hall or Balai Syura or simply Muzium Islam) is housed in a beautifully decorated wooden building in the heart of Kota Bharu. 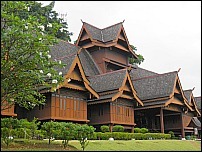 Also known as Istana Jahar, this museum is in a former royal residence and contains interesting displays pertaining to royal ceremonies and customs. 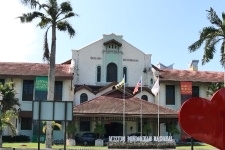 This museum is located in a 1930s-era former government office building and provides informative historical background on the state of Kelantan. 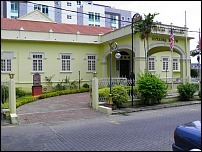 This museum is housed in the former Kota Bharu branch of Mercantile Bank, built in 1912. During the War it was used by the Japanese military police to hold and interrogate prisoners. 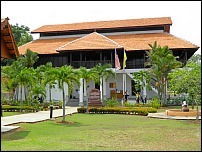 Also known as the Perlis State Museum, this museum showcases the history and culture of the area and the ruling family. The attractive grounds of the museum contain a royal mausoleum, a small cave and manicured gardens. Time Tunnel Cameron Highlands is a fascinating museum in Brinchang in the cool Cameron Highlands containing a vast horde of memorabilia, artefacts and collectables from days gone day. Here you can see tea growing in the tea gardens, tour the factory where the tea is dried, processed and packed and you can even try out the end product in their tea shop with a panoramic view. 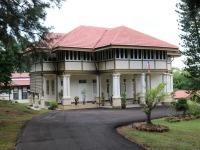 One of the best places to visit in Sandakan is the Agnes Keith House museum. 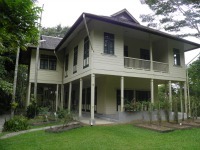 Her autobiography made Sabah famous and here you can see where she lived. 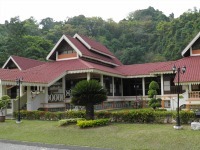 Muzium Petroleum, Sarawak is a so-so museum with a great view of Miri and is the site of Sarawak’s first oil well. See details, location and opening hours here. 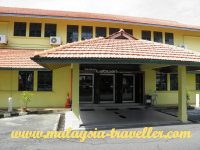 Why are so many museums in Melaka? I think there are two reasons really. First of all the city (and state) of Melaka, or Malacca, is brimming with history, heritage and culture so they have a lot of great buildings, antiquities and exhibits to show off and display. 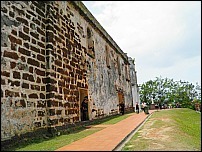 Secondly Melaka, together with Georgetown Penang, has been a UNESCO World Heritage site since 2008. 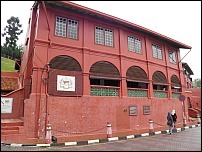 In order to stay on UNESCO's list, Melaka has a duty to preserve and maintain its unique historical and cultural heritage. It is not permitted to demolish or significantly modify the appearance of its many historic buildings so the city has to find a use for these valuable buildings. 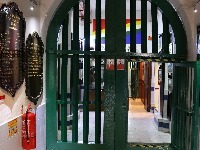 Converting them into museums is a good way of ensuring the heritage buildings are occupied and looked after. It does seem to me though that they may be running short of ideas on what to put in these museums as you will see from some of those appearing in my directory below. I have been to all the museums in Melaka listed here (except where stated) so I am able to give you my personal reviews and opinions on each. There are others which will be added later. 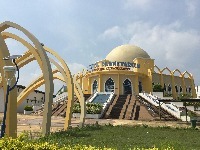 Al Khawarizmi Astronomy Complex is an astronomy museum with 3D movies and an observatory located at Tanjung Bidara in Melaka. Quite interesting. The Youth Museum is a strange collection of mainly sports trophies and photos. The Art Gallery upstairs is better and from the balcony you can get a great view of the Stadthuys. 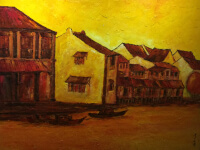 Galeri Seni Rakyat or Folk Art Gallery is a gallery of paintings by local amateur artists. This famous Dutch-built construction contains ceramics salvaged from wrecks, ethnic costumes, dioramas of Malay houses and rice fields, musical instruments and more. Rather dry subject matter but the historic building is nice. Nice old building but the contents are of limited interest to the casual tourist. Concentrates on the life and works of Malacca-born Munshi Abdullah who has been referred to as the father of modern Malay literature. I have to admit I did not enter this museum which is housed in a modern building near St. Paul's Church. The name of the museum did not arouse much interest and I would have had to take my shoes off again. Maybe next time. 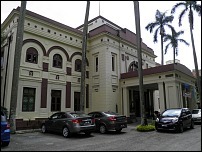 This grand building served as the Governor's Residence through the Dutch and British colonial period and after independence until 1996. Quite interesting inside. 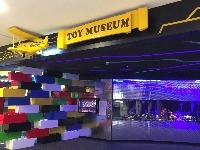 Contains scale models and information on various architectural styles and famous buildings in Malaysia. Good for a short visit. 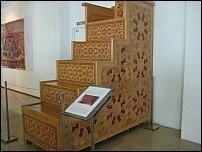 Islamic Museum Melaka has a few interesting exhibits and you can learn how Islam was spread to Malaysia. The building itself is very attractive and worth a visit. Department of Museums Building is not open to the public but you can admire this well-preserved 15th century Dutch VOC house from the outside. 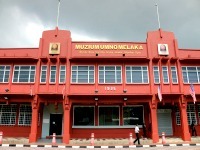 UMNO Museum is more likely to appeal to the followers of Malaysian politics than to the general public or tourists. 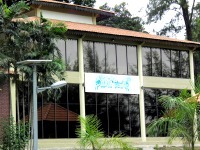 Peoples Museum Melaka is made up of a number of mini-museums under one roof. Rather a random assortment of exhibits but interesting in parts. 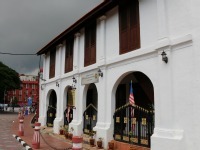 One of the oldest buildings in Melaka with an interesting past and a colourful ghost story. For that reason alone it is worth visiting even if stamps are not your thing. This 1940s building was called Bastion House and originally belonged to the Dunlop rubber company. 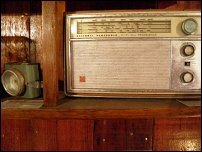 The Museum contains a mixed bag of exhibits, some more interesting than others. 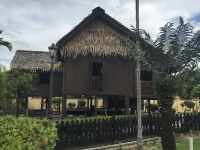 This is a replica of the 15th century Sultan of Malacca's palace. Great looking building with interesting contents and a beautiful garden. One of the best Malaysian Museums. Must visit. 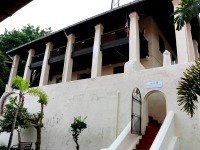 Once the Malacca Club, this building is where Malaysia's (actually Malaya's) independence was proclaimed. 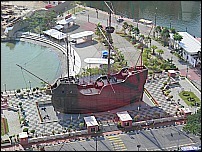 This riverside museum's highlight is a replica of Flor De La Mar, a treasure-laden Portuguese galleon which sank off the coast of Melaka. 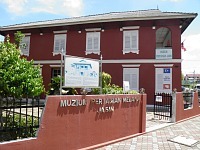 One of the most popular museums in Melaka. The Royal Malaysian Customs Department Museum Melaka sounds rather dull but it is actually one of the more interesting museums in Melaka. 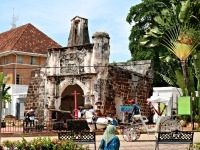 Not a museum as such but this is Melaka's most famous monument built by the Portuguese in 1511 as a gateway to the old walled city. There has been a church on this historical site for nearly 500 years. Portuguese, Dutch and British colonists left their mark here. A statue of St. Francis Xavier is located here. 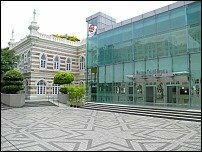 Cheng Ho Cultural Museum tells the fascinating story of Zheng He and his voyages of trade and diplomacy across Asia in the 13th century. Features the history and lifestyle of the Baba-Nyonas, a unique blending of Chinese and Malay races over the centuries to create a distinct culture. 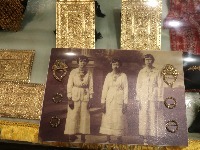 Straits Chinese Jewellery Museum in Melaka is a great place to see some lovely Nyonya jewellery inside a tastefully furnished traditional heritage shophouse. 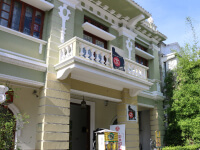 Macau Gallery Melaka (also spelt Macao Gallery Melaka) is a showcase for promoting Macau as a tourist destination. Read review, location and details here. 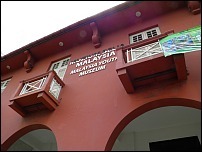 Melaka Gallery is one of Melaka’s least known museums. 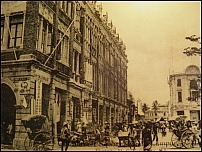 It contains historical photos and records. Read review, location and details here. 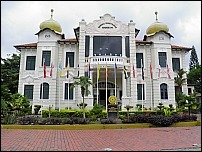 Melaka Chief Ministers Gallery was once the official residence of the Chief Minister and is now a museum. Read review, location and details here. 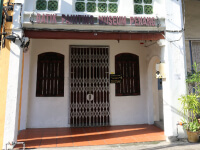 This museum displays artefacts, handicrafts and old photographs relating to the Chittis, a unique community of Hindu Peranakans. 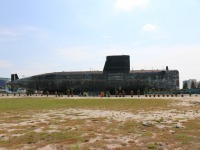 The Melaka Submarine Museum gives you the rare chance to go inside a real submarine on dry land. 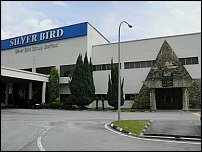 It is the only one of its kind in Malaysia. You need to take a boat to visit this museum. 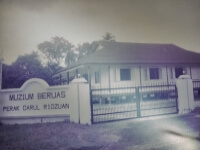 It contains information on the legends and history surrounding Pulau Besar. 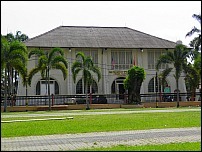 Jasin Agricultural Museum is a small museum in Jasin Town. While you are there have a look around the picturesque town centre. 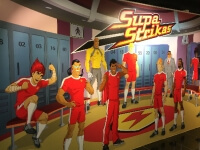 If you like action figurines of superheroes and anime characters this place will appeal to you. 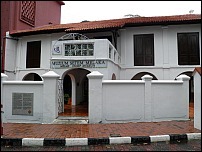 Muzium Al Quran, Melaka contains some rare old Qurans, examples of calligraphic art and information on topics related to the Quran and Islam. 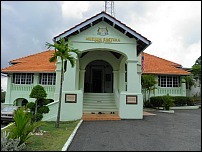 Visit the Malaysia Prison Museum, Melaka for a fascinating look inside an actual prison, learn some history and appreciate the gruesome business of executions. 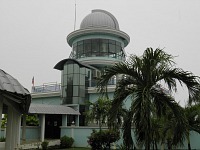 Melaka Planetarium is a so-so museum but it has an impressive 3D space theatre. See review, ticket price and location here. 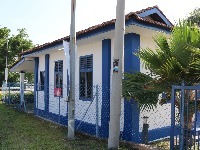 The Gallery of Batang Tiga Old Police Station is probably the smallest museum in Malaysia, being located in a former police post on the outskirts of Melaka. At the Orang Asli Museum Ayer Keroh you can learn about the customs, hunting techniques, houses, food, medicine, crafts and burial traditions of the Malay Peninsula’s original inhabitants. 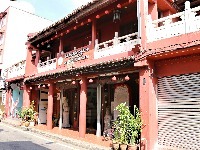 This specialist Chinese calligraphy museum at 8H Laksamana Cheng Ho, Melaka is open from 10am to 5pm (closed on Tuesdays). Admission adult RM 5, student RM2. 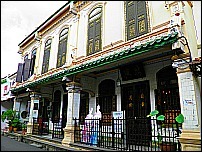 Like Melaka, Penang has many museums, particularly in the historic city of George Town. Here are some of those I have visited so far. 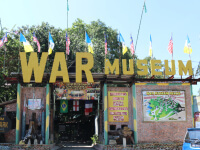 This is an outdoor living war museum which vividly recounts the defence and fall of Malaya in WWII and the horrors of the Japanese occupation on civilians and imprisoned Allied servicemen. A must-see museum. 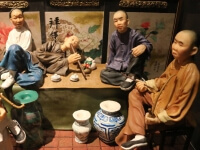 Penang Asia Comic Cultural Museum is an excellent attraction providing an entertaining and educational look at comic history in nine Asian countries and territories. 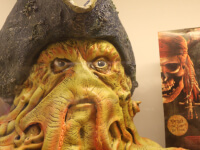 TheToy Museum houses a massive collection of action figures and collectables relating to movies, comic book superheroes and TV programmes ranging from Harry Potter to Star Wars. Fun for kids of all ages! 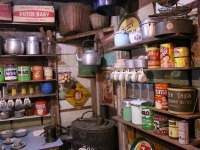 Wonderfood Museum is a great place to see and photograph larger-than-life models of Malaysia's national obsession - food, in all its varied and delicious forms. 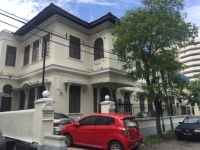 This fine stately home showcases the furniture, treasures, culture and lifestyle of Penang's Peranakan community and is somewhat similar in content to Melaka's Baba & Nyonya Heritage Museum. Penang State Art Gallery displays a contemporary art collection covering two floors in the Dewan Sri Pinang building in George Town. 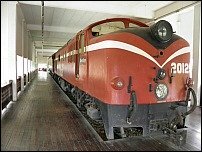 Penang Tunnel Museum is an attraction of two parts, part Penang history and part 3D mural art gallery. 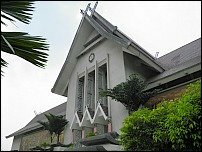 A niche museum on the history and activities of the Catholic Church in Malaysia. Located next door to the Church of the Assumption in Georgetown. Open 10am-1pm except Sundays and Mondays. 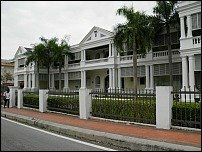 Penang State Museum's normal premises are closed for renovation but you can find a reasonable selection of items on display at their secondary site at Macalister Road. Batik Painting Museum Penang is a lovely little gallery in a 3 storey shophouse on historic Armenian Street with some 90 original paintings by accomplished batik artists. A specialist museum for photography enthusiasts, which is everybody nowadays. Here you can find an extensive collection of cameras and related items. Is highly rated. 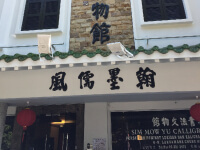 This museum on Armenian Street, formerly called Sun Yat-Sen Penang Base is one of a number of heritage sites in Penang related to the Chinese national hero. 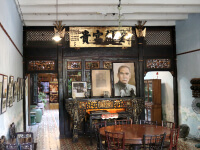 The Penang Sun Yat Sen Centre commemorates the contributions made by Chinese national hero Dr Sun Yat-Sen (1866 - 1925) and his Overseas Chinese supporters. A nice little museum where you can try to operate traditional puppets, dress up in opera outfits and learn about this classic art-form. i-Box Glass Museum Penang is a good place to learn about glass making, create your own glass souvenir, shop for quality glass items and take fun photos with some glass-themed 3D art. 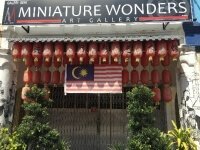 This museum on Jalan Dunlop appears to have closed permanently. 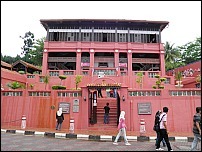 P Ramlee Birthplace (Rumah Kelahiran P.Ramlee) is the quaint wooden house where Malaysia's best loved artiste was born. Enjoy exploring your Malaysian Museums. P.S. 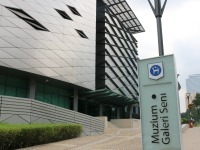 For more information on Malaysian Museums you can visit the Department of Museums' official website.